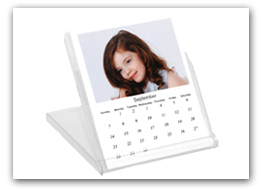 These calendars allow you to create a professional looking 12-month calendar by simply dropping in 12 images. These calendars make great desk calendars. 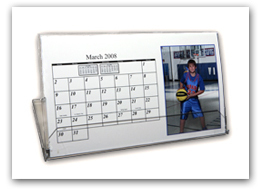 Twelve images are printed on individual sheets and then are propped up by a standard 5×5½" CD jewel case. 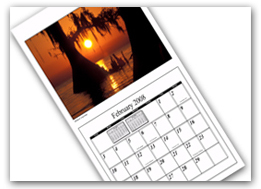 These are just like the CD Case Calendars but are 7 3/8×4 ¼ “ in size. This entry was posted in Uncategorized and tagged Procolor, T4. Bookmark the permalink.